Buying a used car can be an incredibly good deal, however there are a lot of potential issues too. Buying a used car is can be tricky. You don’t know anything about it, and there area lot of people out there selling crap. There are also emotions that play into it, which is a bad thing when buying something and spending so much money on it. Whatever you do, you should never buy a car without first verifying what you are buying by running a history report. I get a ton of emails from people that ended up buying a used car and later finding out it had been wrecked. There are body shops that are professionals at making a car look good. It can happen to anybody. If the VIN isn’t clearly listed in the ad and the seller won’t give it to you then move on to the next car. They are most likely trying to hide something. Since you are normally buying a used car “As Is,” you will want to know about any problems before the purchase. Financing is handled differently depending on whether you are purchasing from a dealership or a private party. Either way, most banks will not give you a loan for a car older than 4 or 5 years. In general, you will pay at least 2% higher APR for a used car than you would on a new car loan but you can offset this by using an online lender that specialized in financing used cars such as the ones we recommend. Try to have your credit score over 680 because you will be considered a prime borrower and get the lowest possible APR. If your credit is really bad you might want to try and repair it before you buy a car. Now that your price negotiating is complete, it is time finalize the transaction. You should never pay cash because if something goes wrong you may have trouble getting your money back. Besides, carrying around large sums of cash is dangerous. 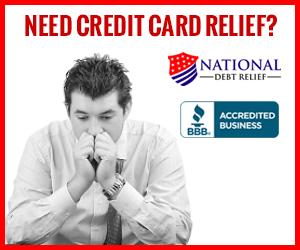 You should pay with a credit card if possible or a check of some type (personal, official check, etc.). With a credit card or check you have a paper trail and some recourse available if something goes wrong. One of the trickiest things to deal with when finalizing the purchase of a used car is when the seller still owes money on it. This should only occur when you are buying from a private party. The lender is holding the title and you must make arrangements with them to have the note paid off and the title transferred to you. DO NOT sign an “As Is” agreement at a used car dealer! DO NOT even think about taking delivery of a used car without the title! Also a few other tips I use when buying a used car. Make sure you do a “cold start” if the seller already has it running that is a red flag! Problems tend to go away after it’s warm. Make sure you check all the fluids, oil should be in the hatched area of the dipstick, and transmission fluid should look a little reddish, smell it too, if it smells like burnt crap then that’s bad. Check the level of the coolant. Check the wires, do they look like they are beaten up? Check the tires, are they at the wear bars? Tires have a built in wear indicator. But you can also manually do a test too, take a penny and put abe lincoln’s dead in the tread, if you can see the top of his head they are bad. Check the pedals,do they look really worn? If so it’s possible someone drove the snot out of it and it’s more likely to break down. If you follow these tips you’ll have a much better car, and time buying the car. I love buying cars used but you need to do some research! Don’t forget buying a used car roadmap!